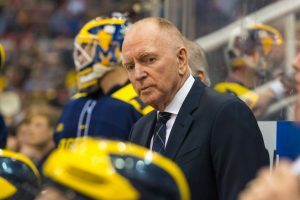 University of Michigan hockey coach Red Berenson has notched a key assist for the U-M ALS Clinic: “Dinner with Red” will be the prize for the team of Bighouse 5K runners that raises the most money for the ALS Clinic through race registrations. University of Michigan hockey coach Red Berenson. The race is named for its famed finish line: The 50-yard-line inside Michigan Stadium. The Bighouse 5K is scheduled for April 9, 2017. Race participants can form fund-raising teams and designate proceeds to the six local charities chosen as race beneficiaries. The ALS Clinic is one of the six. The U-M Comprehensive ALS Clinic was named in December as one of six local charity beneficiaries of the Bighouse 5K: Trail to the Victors presented by Toyota. Proceeds from race registrations are divided among the six local charities, but entrants may also designate their entry fee to a specific charity or make additional donations during registration. The team that raises the most money for the U-M ALS Clinic will win dinner with Berenson. Former U-M hockey star Scott Matzka, who played on Michigan’s National Championship team in 1998, has been diagnosed with ALS. Joe Feudi, whose wife Jill manages the Yost Arena business office, is also an ALS patient. Former Michigan hockey player Jim Ballantine died from ALS in 2002. Both Matzka and Feudi are treated at the U-M ALS Clinic. Feudi plans to complete the Bighouse 5K in his power wheelchair. 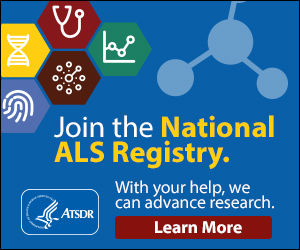 ALS – amyotrophic lateral sclerosis – is characterized by progressive muscle weakness that robs a patient of limb use, the ability to swallow, and finally the ability to breathe. There is no cure, and most ALS patients survive 3-5 years after diagnosis. The University of Michigan’s Comprehensive ALS Clinic provides a wide range of service to ALS patients, including physical, occupational and respiratory therapists, a nutritionist, a social worker, and a chair specialist – all of which are important to ALS patients and their families. The ALS Clinic fund covers services that aren’t billable to insurance. Race registration is $35 through Feb. 28, and a guaranteed $12 of each registration is distributed to race recipients. If racers designate a specific recipient, 100 percent of those funds go to that recipient. Runners and others can also make additional donations through registration. Form a team, donate or register for the race.